"This is going to be the year"
Every year, it seems like the same things are on the list but this could be the year you really do invest in a rental home. Rents are climbing, values are solid and mortgage rates are still low for non-owner occupied properties. 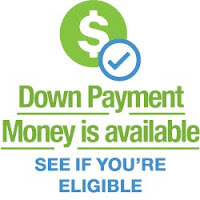 A $150,000 home with 20% down payments can easily have a $300 to $500 monthly cash flow after paying all of the expenses. There are lots of strategies that can be successful but a tried and true formula is to invest in below average price range homes in predominantly owner-occupied neighborhoods. These properties will appeal to the broadest range of tenants and buyers when you’re ready to sell. Single family homes offer an opportunity to borrow high loan-to-value mortgages at fixed rates for long terms on appreciating assets with tax advantages and reasonable control. This can be the year to make some real progress on your resolutions. The first step may be to invest some time learning about rental properties by attending a FREE webinar on January 4th at 7:00 PM Central time zone by national real estate speaker Pat Zaby. Click here to register. If you can’t attend live, by registering you’ll be sent the link to watch at your convenience. In 1966, a gallon of gas was $0.32 and today, it is $2.49. A dozen eggs were $0.60 but they’ve only doubled to $1.33. A gallon of milk was $0.99 and today, it costs $3.98. You could send a letter for five cents and now, it costs forty-seven cents. The average cost of a new car in 1966 was $3,500 and today, it will cost $33,560. New cars have more features than the earlier models but they’re still ten times more expensive. The median price of a new home was $21,700 and now, is $304,500. Interestingly, mortgage rates are actually lower today at 4-4.5% than they were fifty years ago when they were just under 7%. The rates have been low for long enough that many people have been lulled into believing that they are not going to go up. Yes, rates are a little higher but in perspective, they’re still a bargain. Years from now, will you be remembering and comparing what they were back when? Can 0.5% Really Equal 5%? Since the election, rates have started going up and it will have a direct effect on the cost of housing. There is a rule of thumb that a ½% change in interest is approximately equal to 5% change in price. As the interest rates go up, it will cost you more to live in the very same home or to keep the payment the same, you’ll have to buy a lower priced home. Before rates rise too much, it may be the best time to buy a home whether you’re going to use it for your principal residence or a rental property. Low interest rates and lower prices make housing more affordable. During the Great Recession, some homeowners elected to rent their home rather than sell it for less than it was worth. If a home has been rented for more than three years, the owner will not have lived in it for two of the last five years. So the challenge for homeowners with gain in a rented principal residence that they don’t want to have to recognize is to sell and close the transaction prior to the crucial date. Assume a person was selling a property which had been rented for 2 ½ years but had previously been their home for over two years. To qualify for the exclusion of capital gain, the home needs to be ready to sell, priced correctly, sold and closed within six months. All of the gain may not qualify for the exclusion if depreciation has been taken for the period that it was rented. Depreciation is recaptured at a 25% tax rate. A $200,000 gain in a home could have a $30,000 tax liability. Minimizing or eliminating unnecessary taxes is a legitimate concern and timing is important. Selling a home for the most money is one thing; maximizing your proceeds is another. For more information, see IRS publication 523 and an example on the IRS website and consult a tax professional. Mortgage approval isn’t final until it’s funded. Things can change prior to the loan being closed that can affect a pre-approval such as changes in the borrowers’ financial situation or possibly, factors beyond their control like interest rate changes. 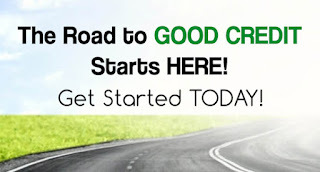 Good advice to buyers is to do nothing that can affect your credit report until the loan closes. Opening new credit cards, taking on new debt for a car or furniture or changing jobs could affect the lender’s decision if they believe you may no longer be able to repay the loan. It is a very common practice for mortgage lenders to require income and bank verifications and to re-run the borrowers’ credit one final time just prior to closing. Mortgage approval isn’t final until it’s funded. Gift or Inheritance - Does It Matter? A person called into a radio talk program with a situation that was troubling to the caller and disturbing based on the potential tax liability that may have been avoided. The caller’s elderly father had deeded his home to his daughter a few years earlier because in his mind, his daughter was going to get the home eventually and this would be one less thing to be taken care of after his death. The daughter didn’t really care because the father was going to continue to live in the home and take care of it so that it would be no expense to her. Obviously, unknown to either the father or the daughter, transferring the title of a home from one person to another could have significant tax implications. In this case, when the father “gave” the home to his daughter, he also gave her the basis in the home which is basically what he paid for it. If she sells the home in the future, the gain will be the difference in the net sales price and her father’s basis which could be considerably higher than had she inherited it. If the home was purchased for $75,000 and worth $250,000 at the time of transfer, there is a possible gain of $175,000. However, when a person inherits property, the basis is "stepped-up" to fair market value at the time of the decedent's death. If the adult child had inherited the property, at the time of the parent's death, their new basis would be $250,000 or the fair market value at the time of death and the possible gain would be zero. In most cases, there are less tax consequences with inheritance than with a gift. There are other factors that may come into play but being aware that there is a difference between a gift and inheritance is certainly an important warning flag that would indicate that expert tax advice should be sought before any steps are taken. Most people think they’ll have a house payment and a car payment for the rest of their lives but it doesn’t have to be with a plan and a little discipline. The plan is to make additional principal contributions to a fixed rate mortgage to shorten the term and save tens of thousands in interest. If a person were to make an additional $100 payment each month applied to principal on a $175,000 mortgage, it would shorten the loan by five years six months. If the person were to make $200 a month additional payments, it would shorten the loan by 9 years. $459 additional payment would shorten it to 15 years. If a person does make a decision to regularly pre-pay their mortgage, it will be their responsibility to verify that the lender is applying the money to the principal each time as opposed to being placed in the reserve account for taxes and insurance. In today’s market, a savings account pays around 0.5% or less. Even with the low mortgage rates available, there is still a considerable savings. People who might need the funds in the near future should carefully consider this option due to the difficulty to access equity easily from one’s home. Make your own projections using the Equity Accelerator. Homeownership, part of the American Dream: a home of your own where you can feel safe, raise your family, share with your friends and enjoy life. The benefits are easily recognizable but maintenance is just as real and should be considered. Property taxes and insurance are two of the largest expenses homeowners have aside from their mortgage interest. But, as any homeowner knows, there will be occasional expenses for repairing toilets, faucets, windows and other things. There are also the significantly larger expenses that arise like replacing a water heater or HVAC unit. And don’t overlook the periodic maintenance like painting or floor coverings. Financial experts suggest that homeowners save one to four percent of the home’s value per year for repairs and maintenance. Two to eight thousand dollars a year may sound like more than you’ll need but the cost of an air conditioning unit can easily be $6,000 and some homes have more than one unit, which hopefully, won’t need to be replaced in the same year. Some homeowners purchase home warranties to avoid the unexpected costs. An annual premium instead of an unexpected large expenditure. Coverage varies from company to company and are not intended to cover existing conditions. The alternative to not saving for these anticipated expenditures means that a homeowner might have to put it on a credit card at a very high interest rate or get a home improvement loan. Appreciation is a distinct benefit of home ownership and deferred maintenance can limit the value as well as lengthen the market time when it sells. There is certainly no shortage of retirement planning strategies available to individuals who actually take the time to consider them. What most financial experts do agree on is that the closer you are to retirement, the less time you have to recover from a loss. For that reason, many people start dialing down their risk factors as their age increases. One way to minimize risk is to invest in things that you know and understand. For the majority of homeowners, their largest asset is the equity in their home which they generally have more familiarity than other types of investments. Buy the home you’d like to retire to today and use it as a rental property. Finance it with a 15 year loan so it will amortize quickly and possibly be paid for at retirement. Continue living in your current home until you’re ready to move into the home you’ve designated at your retirement home which will not create a taxable event. Prior to moving in, you can rehab the home so that it fits your style and needs exactly. If you’ve lived in the current home for at least two of the last five years, you can exclude up to $250,000 of gain for single taxpayers and up to $500,000 for married taxpayers. The proceeds could then, be invested for income. Some of the attractive features of this proposal is that you’re familiar with the operation of a rental due to similarity of owning a home. Most experts agree that home prices will continue to rise and so will rents. The maintenance people that you use for your home can also work on your rental. If you don’t want to deal with tenants that can easily be delegated to a property manager. Low mortgage rates with short terms and high rental values contribute to positive cash flows that will pay for the property. Obviously, there are many other considerations you’ll want to investigate with your tax and real estate professionals these can get the conversation started. Saving the down payment may be unnecessarily keeping would-be buyers from getting into a home. They may be unaware that the funds might be available. The NAR Profile of Home Buyers and Sellers reports that 81% of first-time buyers got all or part of their down payment from savings. Less than 4% said that all or part of the down payment came from a withdrawal in their IRA and 8% from their 401(k) or pension fund. Traditional IRAs have a provision for first-time buyers which include anyone who hasn’t owned a home in the previous two years. A person and their spouse, if married, can each withdraw up to $10,000 from their traditional IRA for a first-time home purchase without incurring the 10% early-withdrawal penalty. However, they will have to recognize the withdrawal as income in that tax year. For more information, go to IRS.gov. Allowable withdrawals from traditional IRAs can be from yourself and your spouse; your or your spouse’s child; your or your spouse’s grandchild or your or your spouse’s parent or ancestor. Roth IRA owners can withdraw their contributions tax-free and penalty-free at any age for any reason because the contributions were made with post-tax income. After age 59 ½, earnings may be withdrawn as long as the Roth IRA have been in existence for at least five years. Up to half of the balance of a 401(k) or $50,000, whichever is less, can be borrowed by the owner at any age for any reason without tax or penalty assuming the employer permits it. There can be specific rules for loans from a 401(k) that would determine the repayment; interest is usually charged but goes back into the owner’s account. You can consult with your HR department to find out the specifics. A risk in borrowing against a 401(k) comes if your employment ends before the loan has been repaid. The loan may have to be repaid as soon as 60 days to keep the loan from being considered a withdrawal and subject to tax and penalty. Even if you continue with the same employer, failure to repay the loan could be considered a withdrawal also. Your tax professional can provide you specific information on how making a withdrawal from your retirement program might affect you. Additional information can be found on www.IRS.gov. “It’s not far, if you know the way.” What this expression implies is that you could have a long way to go if you don’t know where you’re going or how to get there. Just like reading a map, there are some definite steps that will improve your success in buying a home in today’s market. Know your credit score – the best mortgage rates are available to borrowers with the highest scores. Unless you know what your credit score is at all three major credit bureaus, you don’t really know what rate you’ll have to pay. 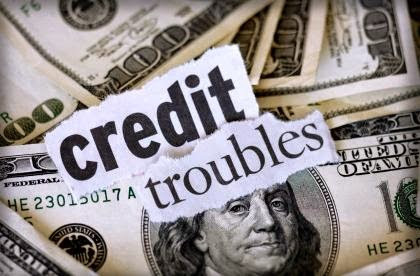 Clean up your credit – it is estimated that about 90% of credit reports have errors. Some are not serious but others could affect a borrower from getting the loan they want. It is your responsibility to know what is on your different reports and correct them if possible. You’re entitled to a free copy of your credit report each year from Experian, Trans Union and Equifax. Get pre-approved – Taking the time to make a loan application with a qualified lender even before you start looking at homes will provide peace of mind, make sure that you are looking at the “right” homes and may help you negotiate the best price on the home you select. Do your homework – when you find the home that meets your needs and desires, get the home inspected and research the tax assessments, school ratings, crime activity, possible zoning changes and comparable sales in the area. Call for a recommendation of a trusted mortgage professional and an inspector. Special consideration is made by IRS for the sale of a jointly-owned principal residence after the death of a spouse. Surviving spouse may qualify to exclude up to $500,000 of gain instead of the $250,000 exclusion for single people if certain requirements are met. The sale needs to take place no more than two years after the date of death of the spouse. Surviving spouse must not have remarried as of the sale date. The home must have been used as a principal residence for two of the last five years prior to the death. The home must have been owned for two of the last five years prior to the death. Survivor can count any time when spouse owned the home as time they owned it and any time the home was the spouse’s residence as time when it was their residence. Neither spouse may have excluded gain from the sale of another principal residence during the last two years prior to the death. If you have been widowed in the last two years and have substantial gain in your principal residence, it would be worth investigating the possibilities. Time is a critical factor in qualification. Contact your tax professional for advice about your specific situation. Contact me to find out what your home is worth in today’s market. See IRS Publication 523 – surviving spouse. Real estate is the overwhelming preferred choice by Americans as identified in a recent survey. With the Dow Jones industrial average reaching record highs, it might be expected that the stock market would be the favored choice but that wasn’t the outcome. Analysis of the report suggests that the popularity for houses could be that they are tangible assets that you can see where your money is actually invested compared to stocks and bonds which tend to be unclear where the money is invested. There are several distinct advantages of homes as investments over other popular alternatives. Another advantage of rental homes is that most people are comfortable with them. It is the same type of property that they live in but used as a rental. They have a tendency to understand the key components such as value, appreciation, rent, maintenance and financing. It’s not “if” the rate goes up but “when” the rate goes up; it could make a big difference for some buyers. Freddie Mac predicts that mortgage rates will be at 4.5% a year from now. If buyers can afford a home with higher interest rates, it means higher payments. Higher payments might mean they won’t have the money to spend on other things like furniture or improvements to the home or an unrelated purchase like a new car. When the rate moves 0.50% on a $250,000 mortgage, the payment goes up by $70.66 a month. If it moves 1.00%, the payment goes up by $143.74 per month, each and every month for the entire term of the mortgage which means paying over $50,000 more for the house. Then, there’s the borrower who is absolutely maxed out as to what they can qualify for or sometimes, it is a borrower who just refuses to pay a higher payment. When that’s the case, the buyer has to make a larger down payment. In the same example, a 0.50% increase in rate would require $14,873 more in down payment. That could make the purchase impossible or require the buyer to buy a lesser price home that will not have the same amenities. Mortgage rates have been low for so long that some people think that is what they should be. There are some economists who believe that the economy will not be strong again until mortgage rates are in the 7% range. To see how this type of scenario might affect you, go to the If the Rate Goes Up calculator. Some people wait to buy a home until they have 20% down payment to avoid paying the mortgage insurance which is required by lenders when the loan-to-value ratio is greater than 80%, with the exception of VA loans. To illustrate a typical situation, let’s assume that buyers have $10,000 for a down payment on a $200,000 home. 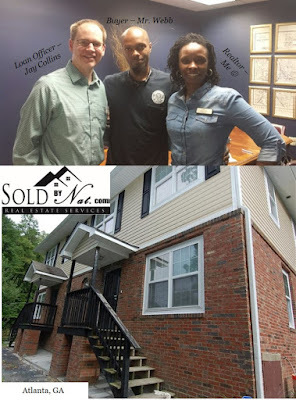 They could purchase it today with a 95% loan or save another $30,000 in order to get an 80% loan without mortgage insurance. If it took three years to save the additional down payment, the $200,000 home at 3% appreciation would cost $218,545. A 20% down payment on the increased sales price would be $43,709, less the $10,000 the buyers currently have leaves them $33,709 to save which would amount to $936.36 a month. They would secure a $174,836 mortgage at the then current mortgage rates, which in all likelihood, will be higher than today’s rates. The alternative is for the buyer to purchase the home today with a 95% loan at today’s low interest rates plus approximately $85 a month for mortgage insurance depending on their credit score. At the end of three years, the unpaid balance would be $179,548. Assuming the home will be worth the same $218,545, the buyer’s equity would be almost $39,000. To reduce the mortgage to the same amount as the first example, the buyer would need to make an additional $125 a month principal contribution above the normal payment. Then, the mortgage would have an unpaid balance at the end of three years of $174,775. When there is sufficient equity in the home, the mortgage insurance is no longer required. Some lenders may drop the mortgage insurance requirement with an appraisal to provide proof. In other situations, it may require refinancing to eliminate the insurance. Call to discuss options that may be available to you. 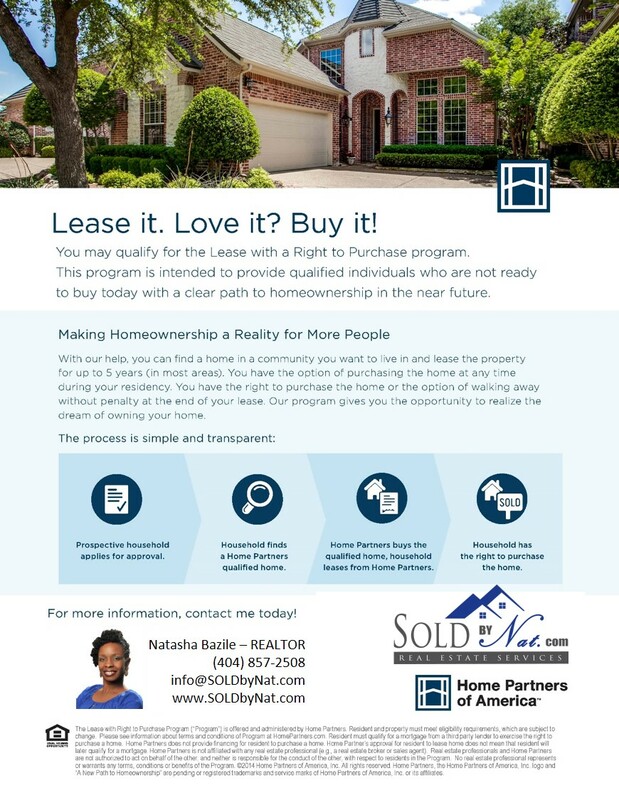 Lease with the Option to Buy! As a REALTOR, I can assist you with this program. Call me to get started! Natasha Bazile is a Financial Educator, Realtor, & Home Stager. She prides herself in being a guide to her clients and finds fulfillment in helping them achieve their goals. Fair market value is the price that real estate would sell for on the open market without any unusual forces being involved. The definition is relatively simple but there certainly different methods of determining what it is. A homeowner could order an appraisal before they put their home on the market but would incur the expense of an appraisal and more likely than not, it won’t or can’t be used by the buyer or their lender. The advantage is that an appraisal is a professional approach by a disinterested party to establish value. Licensed appraisers use three approaches to value: the market data, the replacement cost and the income approach. The appraiser can put more weight on one approach than another based on his/her assessment of what would be appropriate. The replacement cost looks at what it would cost to rebuild the property today less the depreciation it has experienced by age and wear and tear plus the value of the lot. The income approach uses a capitalization rate based on the net operating income of a property to determine value. It is more applicable to commercial properties than it is for homes used by homeowners and not rented. The market data approach relies on recent sales of similar properties near the subject. The appraiser will make monetary adjustments for differences in the comparables that are used to create a more accurate comparison. Real estate agents use a similar approach to determine fair market value by performing a Competitive Market Analysis, CMA. Like the market data approach of an appraisal, it looks at recent sales of similar properties, it also considers properties currently for sale and what homes were unsuccessful in their attempt to sell. This approach is sensitive to supply and demand and may be more reactive to rapidly rising or declining markets. Both appraisals and CMAs have a distinct advantage because of the personal opinion as a professional compared to online website estimates using raw data and mathematical formulas. Regardless of which method is used, it is an estimate. Obviously, some estimates are more accurate based on the experience of the person making the estimate. A price is placed on the property by the seller but value is ultimately determined by the buyer when a final sale is achieved. Having a dust-free home isn’t difficult, but it takes a serious commitment and a housekeeping strategy that addresses the dust and its causes. Whether your motive is cleanliness or to eliminate the cause of some allergies and asthma symptoms, it will be worth it. Try to dust your home at least twice a week. Dust the tallest items and work your way down. Dust picture frames, blinds, baseboards and anything that stands out from the wall. Feather dusters can spread more dust than they collect compared to microfiber cloths that attracts dust because they have an electrostatic charge. Filters on heating and air-conditioning systems should be changed often not only to remove dust from the air but to increase the efficiency of the units themselves. Special HEPA filters can improve the overall indoor air quality. Frequently changing the bag or emptying the container in your vacuum is helpful in eliminating dust. Vacuum the floors at least once a week. Vacuum under furniture and periodically, move appliances to clean behind and underneath. Use the proper attachments to vacuum upholstered furniture and under cushions. Eliminate dust magnets like carpet, heavy drapes and upholstered furniture. Consider hard surface flooring like wood or tile instead of carpet. Keep windows closed to keep dust out. Clean your pillows and drapes. Damp mopping and dusting with plain water helps hold the dust and is environmentally friendly. A humidifier can eliminate static electricity which holds dust. Air purifiers circulate air and capture dust and other pollutants. Learn more & Sign up HERE at a discounted rate! Plans start as low as $4.95 per month. 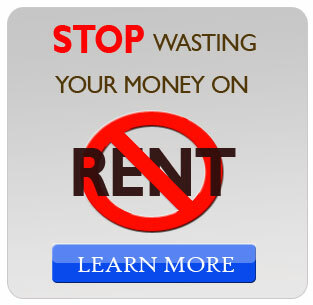 I'm often asked about Lease Purchase or Rent to Own. Because the cons often outweigh the pros, in the past, I didn't recommend it. Until now...Meet Home Partners of America! 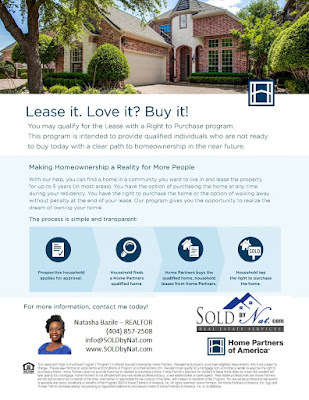 Home Partners' Lease with a Right to Purchase Program allows you to find a home that you want to rent from them initially, but may also like to buy in the next three to five years. They believe that there are many households who may be thinking about buying a home but for whatever reason would like to rent at the current time. You can lease the home for three to five one-year terms, depending on the state, and you may purchase the home from them at any time at a predetermined price. Prospective residents start the process by filling out a Pre-Qualification Application that checks key issues. Prospective residents will work with a REALTOR® (that's ME! :-) to find a home in an approved community. Prospective residents will be required to sign a one year Lease for the home as well as a Right to Purchase Agreement. Home Partners of America buys the home. 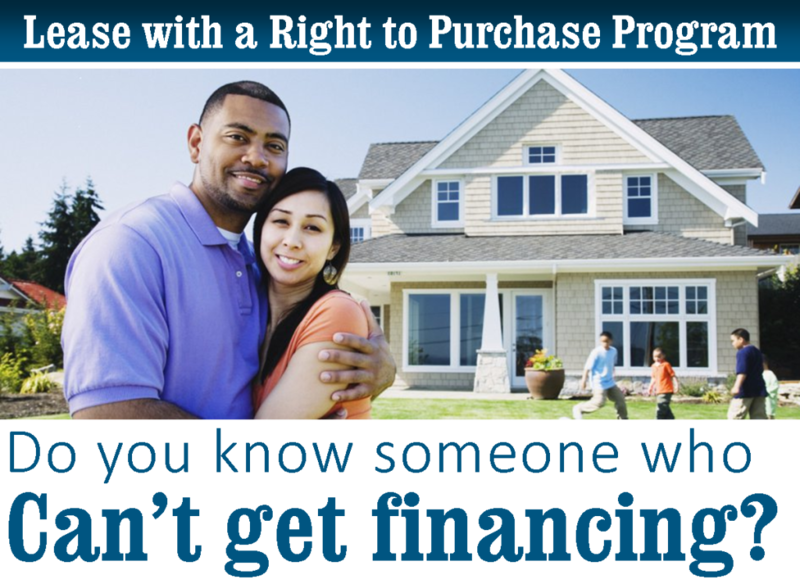 You lease it and have the right to buy it later if you want to. CLICK HERE for the Program Summary and VIDEO. Call me to start on YOUR Path to Homeownership! Becoming debt free is as much a part of the American Dream as owning a home but there certainly can be conflicting circumstances that make the decision to pay off your mortgage early unclear. The advantages of paying off debt early is increased cash flow, less interest paid and a higher credit score. The disadvantages are lower cash flow available as discretionary funds for meals, entertainment and other things. If the ultimate goal is financial security, is it worth the intermediate sacrifice? Use this Mortgage Accelerator to determine how quick you can pay off your mortgage. CONGRATS to this young man for purchasing his 1st Duplex. While the road was bumpy at times, he made a great purchase that will later be a great investment. Thinking about investing in real estate? Interested in multi-family homes? Check out this Quickstart Guide! Also check out my Pinterest board for Investing. Looking to INVEST or SELL an investment property? Natasha Bazile is a Realtor & Home Stager. She prides herself in being a guide to her clients and finds fulfillment in helping them achieve their goals.